This is a beautiful simple necklace. At the top is a pear shaped diamond in an 18ct white gold setting set point down. 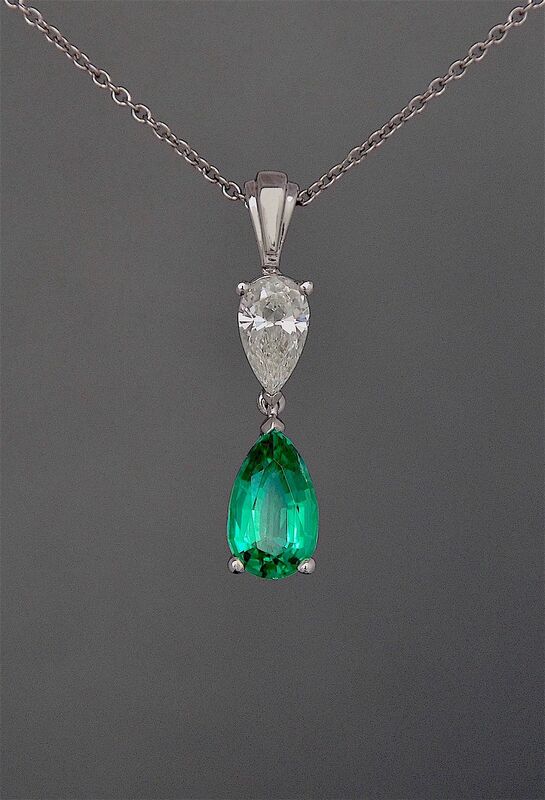 Suspended below the diamond is a fine pear shaped emerald set point upwards in an 18ct white gold setting. There is a shaped 18ct white gold loop through which runs a platinum chain.